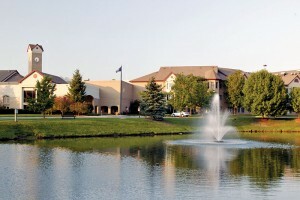 Why wait to explore your retirement living options? Donna started in her 60s. Now she’s reaping the benefits. 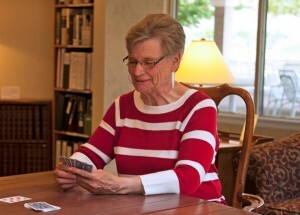 MEET DONNA PETERS, A WONDERFUL NEIGHBOR, EUCHRE PLAYER AND BAKER OF RHUBARB PIES. Neighbors at The Fountains at Bronson Place affectionately call her Donna Go-Go, because she loves to do and she loves to go. A Kalamazoo resident all her life, Donna raised four children here before embarking on her 22-year career with Consumers Energy. When her husband of 44 years passed away, Donna lived on her own for five years, the last three of which she spent meticulously planning where she wanted to carry out her next chapters. Facing a final choice between two great communities, she chose The Fountains because “it just felt right.” She’d always wanted an east-facing view and a kitchen with pull-out shelves. Meet Donna over a drink in the dining room or cappuccino in the Market Café. Just call 1-866-475-5068 to set up a time. Bring your questions and get honest answers straight from the source.